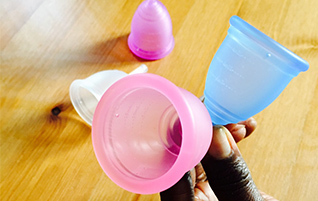 We empower women and girls and protect the environment by raising awareness about menstrual cups and making them more widely available. Our mission is to make it easier for women and girls across the world to live, work, and study with dignity, comfort, and confidence, whilst also protecting the planet by reducing the number of disposable menstrual products in use. 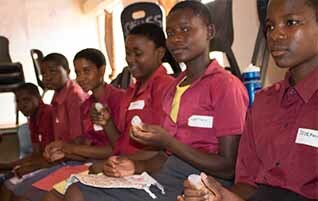 We do this by providing menstrual education, busting taboos, and promoting menstrual cups far and wide! We want to see a world where all women and girls, regardless of where they live or their economic status, have access to sustainable menstrual products. It’s an outrage that millions of women and girls in the world’s poorest communities are prevented from participating fully in society because of their period. Click here if you'd like to support our work by making a donation. Cups are one of the greatest unsung inventions of the 20th century! 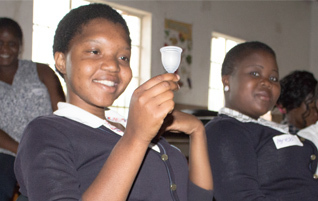 They are an ingenious alternative pads or tampons and can be reused for up to 10 years. We have projects in Kenya, Malawi and the UK. We provide training sessions about cups and distribute them through local partner organisations that are trusted and respected by the communities we serve. 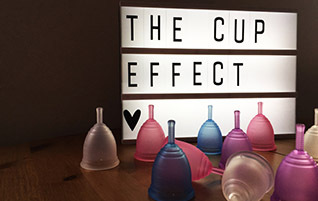 The Cup Effect shop sells cups and sterilisers! 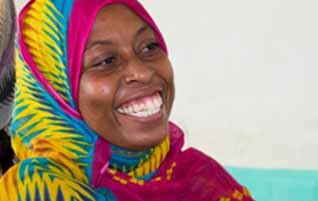 We are a not-for-profit, so your purchase will support our work in low-income communities.